Since 1977, the Restaurant L’Étale offers gourmet cuisine in a pleasant and friendly setting. A must-visit address in Morzine! 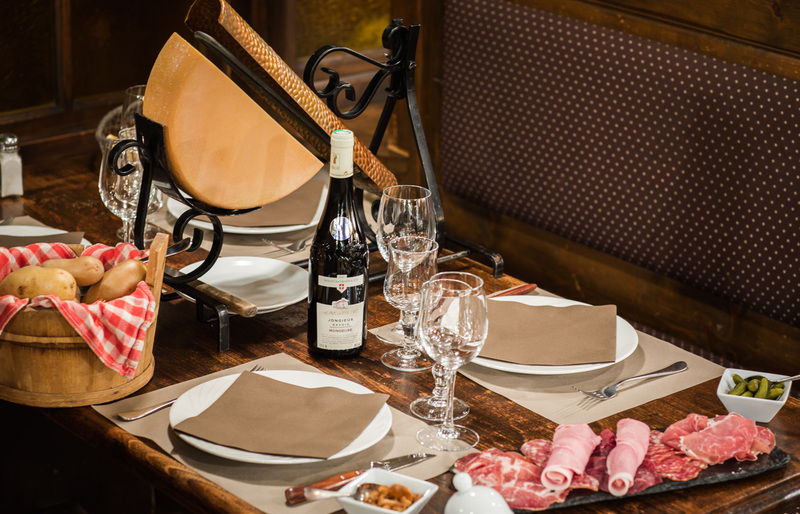 Savoyard specialities, pizzas, meat, fish… l’Étale offers a gourmet menu with Savoyard touches! Homemade dishes and desserts with quality produce, elaborated on site by our chef. Enjoy a culinary moment with us, in the heart of Morzine! Check out the restaurant menu. The Restaurant L’Étale welcomes you all year round, and every day during the winter and summer seasons! Non-stop service from 11 am to midnight. Don’t miss out on news, openings and events on our Facebook page! The “must-try” dishes at L’Étale: the Potence and its meats flambéed with whiskey, the Morzinoise Escalope, the Planche de l’Étale, the Duo du Boucher… not forgetting the traditional Savoyard Fondue and Tartiflette!